A single use infant wrap for conservation of body heat in newborn infant's. 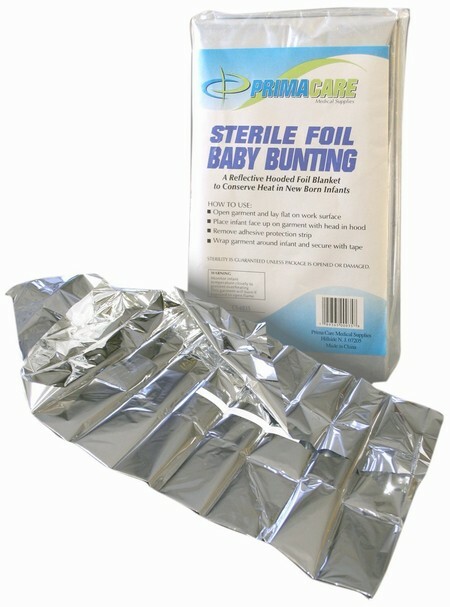 Wrap includes attached hood with adjustable opening for infant's face. Made of Mylar insulation material and completely sterilized. 17.5" X 30" , Individually Packaged.